This entry was posted in Fat Loss, Healthy Living, Weight Loss and tagged diet, dieting, fat loss, food, health living, healthy eating, healthy living, lose fat, lose weight, metabolism, nutrition, Recipe, weight loss on July 2, 2015 by cofiant. My friend Mike Geary told me about an interview he did with a fitness professional from NYC, non other than certified personal trainer, Geovanni Derice. In it he reveals some of the hardest hitting strategies for getting rid of stubborn stomach fat to uncover those flat six pack abdominals that everyone wants. “GD: Welcome Mike to our 4-ever-Toned Fitness Journal. For those people who do not know you, please tell us a few things about yourself, and how you can help our readers with their fitness, health and fat loss. MG: Thanks for having me on, Geo. Well, to go back a little, I have been heavily involved in fitness and sports for about 17 years now, ever since I was a teenager. I got involved in sports in high school which got me interested in strength training and conditioning. At that point, once I started feeling more energetic, then getting stronger, and looking better, I was instantly hooked for life. I’m now 33 years old and I’m still addicted to the way living a healthy and fit lifestyle, makes me feel energetic, confident, and youthful on a daily basis. I decided earlier in my 20’s that I wanted to make the commitment to help other people experience the excitement of being fit, and getting themselves in the best shape that they can. Since we’ve reached a tragic epidemic of obesity, heart disease, fatigue, diabetes, cancer, depression, etc. That’s why I decided to became a fitness professional. It just gives me such a buzz to help others, who have been struggling for years to get into shape, and to show them that it can be done, and how it can be a fun process. I’ve expanded over the years from just reaching local individuals with personal training, into being able to help people all over the globe achieve their fitness goals thanks to the internet. I hope that my passion for fitness, helps to inspire people to take action, and improve how they look at life. GD: Mike, one question is: there are so many things out there as to what works and what does not work… if you had to pick the 3 things that work time and time again to get flat lean abs, what else would they be? MG: The first and most important thing to get under control, in order to lose your abdominal obesity and get flat six pack abdominals is cleaning up your diet. Exercise is important, but your diet is more important when it comes to losing body fat so that you can see your abs. There’s so much confusion these days about what a healthy diet that promotes fat loss really is. After all, we are constantly bombarded by conflicting messages in the media about what is healthy, and you have all of these gimmicky diet books about various diets too many to mention. There’s so much conflicting info, that the average consumer doesn’t even know where to start when it comes to eating for fat loss. The second thing that works, is to focus on the intensity of your workouts and focus on working the body as a whole in order to get the best metabolic response to lose that stubborn stomach fat. For you to get lean, the workouts should have a high intensity, with short rest periods, working the largest muscle groups of the body, instead of trying to isolate specific small muscles like the biceps, triceps, or calves. For the third thing, let’s talk about actually training the abs specifically. When it comes to training the abs. I always recommend forgetting about the crunches and situps for the most part. They are OK for someone who is really unfit, but most people that already have some training under their belt need a much better stimulus for their abs than doing crunches. Although crunches are one of the abs exercises that actually provide the least amount of resistance. Just remember that resistance is what develops and tones the muscles. I provide a wealth of great abs exercises in my book, but one of the highest resistance exercises for the abs, is hanging leg raises (but NOT the way you see most people at the gym doing them). The key to doing these and actually working the hell out of your abs is to curl your pelvis up as you raise your legs. Most people don’t ever do it the right way. To be truthfully honest with you, the majority of people cannot do this to begin with, but I provide some strategies in my book how to progress to doing these correctly. GD: Where are most people going wrong when it comes to developing the coveted “6 pack abs”? MG: Well Geo, I know this sounds funny to most people, but the MAIN thing that people are doing wrong to get those flat six pack abs is… are you ready for this? They spend entirely too much time focusing on training their abs! WAY too much time spent on abs exercises. Crazy, but that’s the truth. Remember, having a flat and visible six pack of abs is all about getting down to a low body fat percentage.For you to do that, your workouts must focus on stimulating a fat burning hormonal environment in your body, and thus increasing your metabolic rate. That is not going to happen when you focus too much time training a small muscle group like the abs. Instead, you must use the majority of your time focusing on training the largest muscle groups of the body like the legs, back, and chest. That’s what stimulates your metabolism and the fat burning hormones that will get you truly lean and sporting a flat six pack! GD: Which exercises do you rate as the top exercises that people need to do if they are to get maximum definition with their midsection? MG: When it comes to developing the abs themselves, I again refer to any kinds of hanging abs exercises, as well as some good floor abs exercises like lying leg thrusts. All these routines are described as well as illustrated in my book mentioned below. However, maximum definition in the abs and midsection comes from losing body fat, the most effective exercises featured in my program for that one goal. Various forms of swings and snatches (unique dumbbell or kettle bell exercises that almost nobody ever does), squats, dead lifts, lunges, step-ups, clean & presses, mountain climbers, sprinting, and other full body exercises and calisthenics. If you desire great looking flat abs, focus on the above methods instead of focusing so much on training the abs directly! GD: When it comes to diet Mike, people really have tried millions of ways to get one thing and that is fat loss. What do you recommend to your clients, to lose body fat and keep it off? MG: I have included a fully comprehensive discussion of this topic in my book, which makes up almost half of the book. The most important thing to achieve is that your diet is as natural, and as unprocessed as is possible. It almost always comes back to the over processing of food that makes it unhealthy, and it will wreck your metabolism and hormone balance in your body. For example, why would you want to eat refined grains, if you can eat whole grains (even better are sprouted grains, as I usually recommend limiting grain foods overall for best results). Why eat all that disgusting refined sugar that causes weight gain, when you can get natural sources of sugar from a high nutrient whole food like fruit. Why do we eat highly processed, refined, and hydrogenated vegetable oils (these are THE worst thing in the modern diet), when we can eat natural sources of healthy fats like nuts, avocados, fish, eggs, coconut milk, even organically raised meat. The point here is to not fall for some quick gimmick like extremely low carbs (although I do believe in a fairly reduced carb intake as that is a big problem for most people), low fat, super high protein, or any other combination that has you focusing on one macro nutrient compared to another. Your body needs all macro nutrients to thrive and obtain a variety of vitamins, minerals, antioxidants, etc. Cutting out an entire food group out just works against what your body needs. I go into more detail on this vitally important topic towards losing body fat (especially that stubborn stomach fat) for life in my book. GD: Thank you very much Mike for taking the time to share with us all of this great information. I hope you enjoyed reading this interview and got several useful bits of info to get you motivated and started on showing off your flat abs shortly. 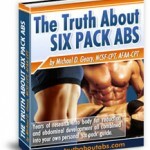 If you have not already got a copy, be sure to pick up a copy of Mikes Truth about Six Pack Abs Ebook, and discover for yourself the entire system he developed for ridding yourself of that extra abdominal fat for good! This entry was posted in Fat Loss, Healthy Living, Weight Loss and tagged Abs, Body Building, diet, eating, Ebook, fat loss, Fitness, food, health living, lifting weights, lose weight, mike geary, Six Pack, weight loss on June 28, 2015 by cofiant. This entry was posted in Fat Loss, Healthy Living, Weight Loss and tagged diet, fat loss, Fitness, food, Glycemic Index, health, healthy eating, lifestyle, lose fat, nutrition, Potatoes, Recipe, weight loss, White Food on June 22, 2015 by cofiant. 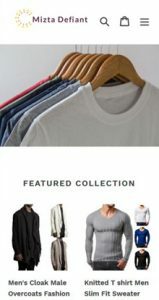 This entry was posted in Body Building, Fat Loss, Healthy Living, Weight Loss and tagged Brink, Ebook, fat loss, Will Brink on May 14, 2015 by cofiant. Coconut Oil is a wonderful healthy food that has been shown to increase metabolism and assist in burning unwanted fat off your body. It is a wonderful superfood, that has been around for centuries and a great addition to any fat burning meal plan. Unfortunately, some people have a really hard time believing that coconut oil is not “fattening” or “dangerous”. Including many in the health industry, but thankfully that’s all changing. We have all been falsely led to believe that fat. Especially saturated fats, are the cause of our weight gain and health problems. This is only partially true. There are some fats like hydrogenated oils and vegetable oils can contribute to heart disease, and weight gain. But good fats, such as coconut oil, butter and olive oil, are actually great fats for our bodies. Just consider how much healthier people were in the late 1800’s and very early 1900’s. Heart disease was almost unheard of over a hundred years ago. Let’s put some of these bizarre MYTHS about coconut oil to bed right now, once and for all. Myth 1 – Coconut Oil contains a lot of fat so it must be fattening. Truth – Not all fat makes you fat (I want to get this printed on a t-shirt). Certain fats do cause you to put on weight, but other good fats will actually burn unwanted fat off your body, and accelerate your metabolism. Myth 2 – Coconut Oil contains almost all saturated fat so it must be bad for you. Truth – Saturated Fat is not the cause of heart disease, weight gain and high cholesterol. It has been falsely accused, and it is SUGAR that is Enemy Number One. Truth – The fat in coconut oil is one of the healthiest oils you can consume (yes, even for those with heart disease). It is rich in lauric acid, approx 50% of the fatty acid content. Which is well known for its anti-viral, anti-bacterial, and anti-fungal properties (lauric acid is also contained in cow’s milk). Also it contains no trans fat. The saturated fat in coconut oil is different, in that it is of the medium-chain fatty acid (MCFA) variety. The body digests MCFA’s more easily and sends these fats directly to the liver where they are immediately converted into energy. Also the brain loves to use MCFA’s. Now isn’t that great? A fat that is used to make energy instead of storing it on our bodies. Recently in this update Coconut oil is being used by some people to treat their elderly relative for Alzheimer’s disease, see this UK newspaper report. I highly recommend everyone use unrefined, organic coconut oil for their cooking. About a single table spoon is more than enough for most cooking. You can even use it raw if you like as I think, it tastes amazing! I usually have about 2-3 total table spoons per day which is a perfect amount for a fat burning eating plan. Now go right ahead and start enjoying your coconut oil and reap the fat burning effects right away. Why not see what Mike Geary has to offer on such foods whilst dieting in his fat loss program. This entry was posted in Fat Loss, Healthy Living, Weight Loss and tagged Coconut oil, fat loss, Fatty Acid, health living, Lauric Acid, lifestyle, lose fat, weight loss on June 3, 2014 by cofiant. Apart from the fact that juiced fruits and vegetables have very low calories and no fat (just make sure you make them yourselves), they are loaded with a variety of vitamins, minerals, antioxidants and enzymes that help your body to perform at its best. Our bodies spend a lot of time trying to detoxify, repair and protect cells. When we are undernourished our bodies go into protection mode and store fat for survival. But, when your body is functioning at its peak condition and getting all the nourishment it needs, it can focus energy on fat loss. Juicing delivers a concentrated healthy cocktail straight into your body. No extra effort is needed to break down the juice and so it is absorbed quickly and starts working magic immediately. Juicing vegetables and herbs while reducing fruit. Yes, of course fruit makes it taste so delicious. Yes, fruit sugar is healthier than refined table sugar… but it’s still sugar and will still cause spikes in your insulin and if your body cannot clear those sugars out, they will convert to fat stores. Also, watch how many carrots you use, believe it or not they have a lot of sugar as well. Save juicing fruits for before and after your workouts. For the same reason as above, when you work out your body becomes primed for using glucose. Skip snacking and start juicing. It seems that people always get hungry between meals. The solution to avoid binging on things you probably shouldn’t be eating before dinner, is to juice up a big green glass of nutritional goodness. Hopefully the liquid will tide you over until your next meal, or at least it will get your brain thinking about health-conscious snacks. Snack while juicing. Not on cheese and crackers or anything man-made but on the vegetables you are getting ready to juice. Sometimes our brains like chewing and feeling food in our mouths and stomach’s, so give it that satisfaction while nurturing you. Healthy habits don’t end with juicing. Whether you are having 1 juice a day or 5, remember that beyond your glass jar, you need to be eating healthy all day long. It defeats the purpose of juicing for weight loss when you eat a big bowl of sugary cereal for breakfast, pizza for lunch, and burgers for dinner. Fill up on fresh juice before meals or going out. Even though juice is digested quickly, you will soon feel hungry again. Your hunger may be quenched by the nutrients more than the feeling of full. Alternate your veggetables. Two ways that this works: you don’t get bored and you get a variety of nutrients. Add some barley grass powder, spirulina, chia seeds, avocado, or olive oil. Healthy fats and fibers are not only good for you, but will keep you fuller longer. Have you seen my article on Coconut oil. Try some. No one wants to diet, or spend their time with someone who is dieting, who has a big hungry monster in their stomach. Remember juicing for weight loss is not a diet. It is the basis for a much healthy lifestyle. If you are taking the time to clean, chop and juice fresh fruits and vegetables then you should be making time to prepare and cook healthy homemade meals. Some people like to test the water with one glass of juice slowly adding more as they feel necessary. If you prefer to start the day with a balanced, nutrition-rich eating regime, you will find that having at least one glass of vegetable juice per day will make it easier to reach your weight loss goals in the long run. Have you thought of replacing your morning, afternoon, snacks with a juice, then you are well on your way! Why not see what advice, Mike Geary has to offer on such foods whilst dieting in his fat loss program. In the mean time why not try. This entry was posted in Healthy Living, Weight Loss and tagged diet, dieting, fat loss, healthy eating, juicing, lifestyle, lose fat, lose weight, nutrition, weight loss on May 18, 2014 by cofiant. This entry was posted in Weight Loss and tagged blood sugar, Carbohydrates, eating, fat loss, food, Glycemic Index, health, lose fat, lose weight, Recipe, vegetabless, weigh loss, White Food on May 14, 2014 by cofiant.